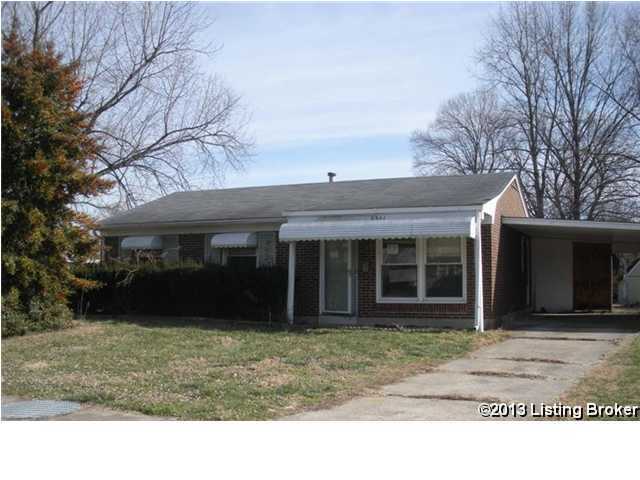 This is a spacious brick 2 bedroom/1 bath home with a living room, dining room and eat-in kitchen. Nice location on a cul-de-sac w/carport and large backyard. Cash offers to include proof of funds letter. Property is sold as is. Buyer is to verify all information regarding subject. Additional seller addendum to be signed with accepted offer. Offers will be responded to after the first 5 days on the market. Please allow 2-3 business days for seller response. Thunderbird Manor is a subdivision within the city of Louisville, Kentucky. There are currently 0 Homes for Sale within Thunderbird Manor, with asking prices ranging from $0 to $0. The average list price per square foot of the available inventory in Thunderbird Manor is $0, which is the Louisville average of $156. The Average Sales price of all sold real estate in this subdivision for the past year is $113,350. Recent comparable homes have been selling for 98.52% of their asking price. Waterfront homes represent of the available Thunderbird Manor inventory. The population of Louisville, according to the 2010 Census, is 597,337. The total number of households in the zip code of Thunderbird Manor is 14,240, with an average household size for of 2.61 people. The total number of renter households within the zip code of 40272 is 3,311, which means that 76.75% of households in this zipcode are owner occupant households. 5301 Torrington Ct, Louisville KY 40272 is a Home, with 2 bedrooms which is recently sold, it has 1,105 sqft, 0 sized lot, and 1 Car Carport parking. A comparable Other, has bedrooms and 0 baths, it was built in and is located at and for sale by its owner at $ 0. This home is located in the city of , in zip code , this County Other, it is in the Subdivision, and Pleasant View are nearby neighborhoods.